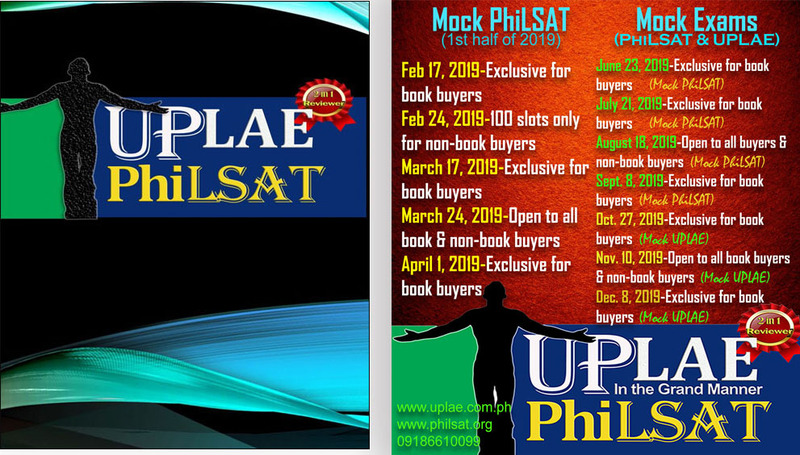 With after-sales support such as online mock exams for both UPLAE and PhiLSAT, admission interview tips, free updates, etc. Please note that we have two delivery methods: (1) meet up in UP Diliman or (2) shipping via LBC or Fastrack Courier. Only transact with the authorized salesperson. 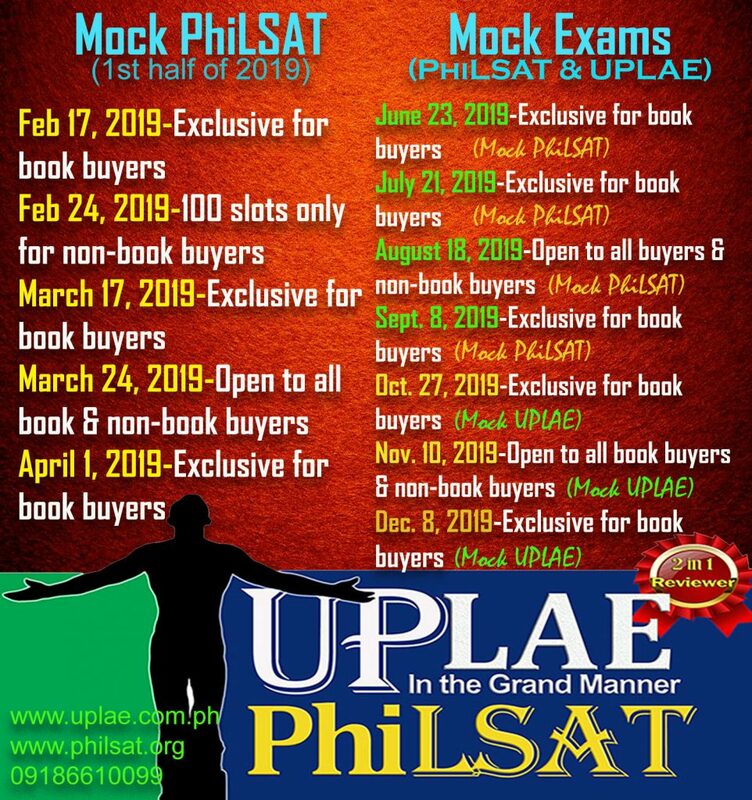 Want to know more about PhiLSAT registration, requirements, passing score, coverage, etc.? Just click here for details. Add us on Facebook: UP Lae. And join our FB Group for the free online mock exams: PhiLSAT Comprehensive Review + UPLAE. Don’t forget to visit also our websites: www.philsat.org and www.uplae.com.ph.